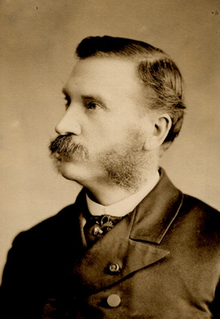 The Canadian National Anthem, or “O Canada” as many call it today, was originally written in Québec City by Sir Adolphe-Basile Routhier in French. The anthem was originally called “Chant National” and was first performed on June 24, 1880 for the Saint-Jean-Baptist Day celebration, which is actually Quebec’s national holiday, not Canada’s which is July 1st. The lyrics of this original version have been amended several times, however the original French lyrics have remained the same since then. The original manuscript doesn’t exist but there are two copies of the first edition. One copy is kept in the archives of the Séminaire de Québec, and the other at the Faculty of Music at the Université de Montréal. Car ton bras sait porter l’épée, Il sait porter la croix! Le ciel a marqué sa carrure Dans ce monde nouveau. Pour le Christ et le roi. Since 1880, the national anthem has appeared in many versions. Despite the popularity of the original national anthem spreading throughout Quebec, it was not heard in English Canada until 1901 when a group of schoolchildren in Toronto sang the anthem for a visit by the Duke of Cornwall and York, future King George V. Richardson translated two of the four verses from Routhier’s lyrics. This version was published by 1906 and sung in Massey Hall by 1907. The McCulloch Version, a lady’s touch. Mrs. Mercy E. Powell McCulloch’s version of the national anthem was chosen the winner amongst 350 submissions in the Collier’s Weekly National Anthem competition. This competition was organized for the purpose of finding a more suitable translation of the original French text as Richardson’s literal translation was not well received in Canada. McCulloch’s version did not gain significant popularity. Several other versions of “O Canada” were created. The Buchan version was written by Ewing Buchan, a bank manager in Vancouver, and particularly gained popularity in British Columbia after being heavily promoted by the Vancouver Canada Club. Robert Stanley Weir, a well renowned lawyer in Canada who later went on to become a judge, wrote this version to commemorate the 300th anniversary of the founding of Quebec City. This particular version went on to become the most widely used. The original line “True patriot love thou dost in us command” was changed to “True patriot love in all thy sons command.” Although there is no confirmed reason for the change in lyrics, it is important to note that by 1914 and 1916 there was an enormous surge of patriotism during the First World War, at a time when only men could serve in the armed forces. Despite the wide use of Weir’s version of “O Canada”, this version was under some scrutiny due to its similar composition to Mozart’s “March of the Priests” and debates over discriminatory aspects of its lyrics such as the use of “son”. Between 1962 and 1980, more than one dozen bills proposing that “O Canada” be adopted as the official national anthem were introduced in Parliament. On 15 March 1967, the special committee, created by the Federal Government, recommended keeping the original French lyrics, but amending the existing version of Weir’s English lyrics, changing “And stand on guard, O Canada” to “From far and wide, O Canada,” and “O Canada, glorious and free” to “God keep our land, glorious and free.” By 1970, both Thompson and Weir’s descendants surrendered their rights over O Canada to the Canadian government for one dollar. Finally, on 18 June 1980, a bill was presented by Secretary of State proposing that “O Canada” be declared Canada’s official national anthem as soon as possible. The National Anthem Act was passed unanimously by the House of Commons and the Senate on 27 June 1980, and received Royal assent the same day. Lots of objections and proposed changes have been made over the most recent decades, from “native land” not being relevant for millions of foreign-born citizens to complaints about the “God” reference being counter to a secular, increasingly atheist populace. However, the one change that seems imminent is converting the male-specific”all thy sons command” to “all of us command” to include the, uh, 50% of non-male Canadians. This change was approved by parliament in 2016 and is still-awaiting final approval by the Canadian senate. And a possible future version (courtesy of Stephen Colbert and The Late Show). online magazine for hip and adventurous Canadians. I’m a dual citizen. The reason you’re having this debate is because Canadians dont know who they are as a people or a nation. You use to know, but PET and his multiculturalism ruined it. Is you’re confused and searching. Btw no nation was built on diversity but many were destroyed by diversity. I was born in 1967, but I remember the change to “From far and wide” and “God keep our land…”, so was it actually >donefirst proposeddoes< sadden me to hear the undertones – and in some cases, overt tones – of intolerance in the comments made here. “In all of us command” is just pablum. It’s shoddy and graceless like chipping a strip off a nice antique dresser with a screwdriver to cram it in some corner it should even be in. If you wanted to neuter the song what’s wrong with the original phrase ” thou dost in us command”. I’ll tell you what’s wrong with it. Absolutely nothing. It’s vastly superior to the new lyric in every way. There may be a few knuckle draggers who complain that they can’t understand it but if we don’t hold them to a higher standard we will all end up at the lowest one. The version that includes “in all they sons command” was done so to honour the soldiers who served and died in WW1. This being the case we should keep this version – no change. Surely Canadian women in this day and age can understand and accept the reason for the original version as stated. If not, they need to be reminded of the sacrifices made. Secondly, I would certainly strongly object to the removal of “God” in the national anthem. I believe our anthem should stay the way it has been the last 50 years. There has been enough change in Canada regarding various issues because someone who is not from here takes offence to the way we do things. I personally am offended by that! This is Canada this is the way it should stay. This is pretty ignorant and you celebrate that ignorance. They should keep it the way YOU like it (the version over the last 50 years has changed too) because you don’t like change. Sad that your ignorance is exactly why it NEEDS to change to reflect current society. I bet the people singing it in french didn’t want it to change either. The people singing it in French never changed it. The Francophones are much more serious about their culture than the Anglophones who don’t think they have one. National Pride includes a nation built on embracing diversity. If you truly had national pride, you would support this inclusive change. And yes, God should be next to go. Not everyone in Canada worships the same god or a god at all. Why should I be forced to acknowledge your imaginary friend as part of my national pride. Oh yeah. You have the right to your religion. And I will protect and defend that right. But you do not have the right to force that religion on others and neither should our government. Liberals fear debate and trample people’s right in pushing through their agenda. I will continue to sing ‘in all our son’s command’. To change the words is to change the meaning, as this version was written around first world was times, when only men served. As an artist, I would be incensed if people decided my painting should be changed to be gender neutral. It’s all getting ridiculous! Except it’s not “in all our son’s command.” It’s “true patriot love in all thy sons command” (in other words, command true patriot love in all of your sons). You’re defending a lyric you don’t even know or understand. But he cannot answer to debate. Because like hypocrites like to do, they will challenge your side, call you names, claim you are the ignorant one and advertise how wrong they are. By putting an apostrophe on sons, you change the meaning of the lyric – which it has never been. What’s your agenda Isabelle? Or perhaps it would be less embarrassing to admit you cannot spell. The lyric change does not “push through an agenda” unless you consider respecting the men AND women in service of our country as some sort of thing we should resist. And the original lyric used in the First World War WAS gender neutral. The very same version you claim only respected the men in service. Again, you are so very very wrong. All you have done here is prove that the lyric change is needed, and you in fact need to support it. I’m an American but always loved and honored the Canadian national anthem. Not sure if it’s that Mandela Effect but didn’t it used to say “True Patrot love” and “With Flowing hearts”… Now I hear “True Patriot love” & “with glowing hearts”? I’m in my 50’s and I have always sung “True patriot love” and “glowing hearts”. “God please save our land , from the pandering snowflake hordes”…. God in the anthem keeping our land glorious and free? He’s clearly not up to the job. If He gets dropped from the song it’s nobody’s fault but his own. All powerful maybe, but if so, He obviously doesn’t care enough. Because there is no pride in remaining ignorant. Change that reflects the right side of history is not offensive. Unless you are emotionally stunted and refuse to grow. You think you have the same thought processes and attitudes as you did when you were a child? Of course not. So why did you change? Well, if you are offended that our anthem returned to a more inclusive version, then perhaps you haven’t. Our national anthem doesn’t need to be changed. . I’m proud to be Canadian. You don’t see the USA changing their anthem. They need to put their put down and say enough is enough. Changing the flag is another issue. If you don’t like that you are Canadian then leave. The Americans don’t change their anthem because its just a love letter to a flag that a soldier was inspired by as the war ended. It doesn’t exclude anyone. It doesn’t say you have to worship one god (despite the full poem it is based on including such references – gasp! It was changed! ), and it doesn’t exclude entire demographics from being patriotic. “If you don’t like it, you can leave” Said like the most ignorant and unpatriotic trash alive. i like the national athem the way it use to be back in the 60s not the two times its been change.i wasnt offend by it .stop changing our natinoal athem . why dont we spell canada with a k instead of a C.
If we are to continue this bleat of patriotic nationalism, at least let’s get rid of the references to imaginary beings. There is the de-gendering of our”son’s”, now lets secularize the anthem in respect of rationality and critical thinking. And with all the changes, this is the closest version we have to the version that inspired our troops in the First World War. You know… when the lyric was gender neutral. You go out of your way to get mad at stuff, don’t you? I am curious Rodney. Were you born in Canada? You obviously speak with a high degree of intellect, but there is a certain bias in your tone.